Welcome to Royal Day Care and Learning Centre! Our facility is approved and licensed by the Ministry of Education. With 30 years of service, parents and guardians can be assured that we provide worry free care for their children. With various programs available and open all 12 months of the year, we are here to accommodate and care for all your child care needs. 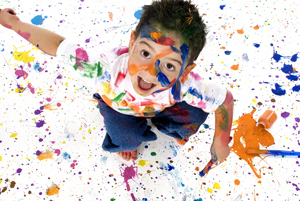 Royal Day Care provides customized programs based around your schedule. 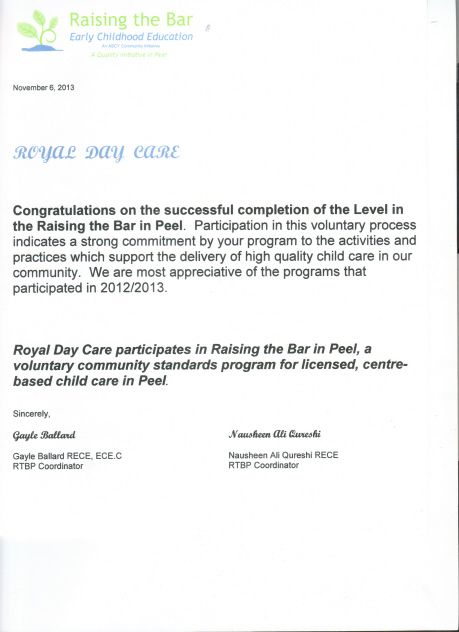 We are also a current member of the Region of Peel�s Raising The Bar Program, which is a collaboration with the Region to consistently provide and establish best practices in the child care industry through professional education and membership. Discover the royal difference today and visit our 14,000 sq ft customized learning centre nestled in a park setting. For the loving care your children deserve, please contact us today!